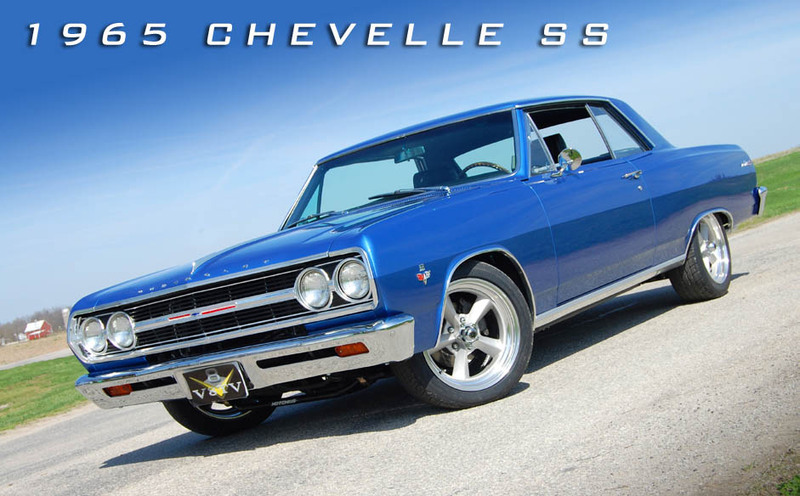 This 1965 Chevrolet Chevelle Malibu SS started in our shop with humble beginnings as shown in this photo. The V8 Speed & Resto Shop crew transformed this forlorn shell into a show-winning street cruiser with some great modifications without losing the DNA of the '65 SS. Thanks Frank! We'll be posting the whole thread soon! This project involved starting with two cars to make one good one. The two donors consisted of a gold 1965 SS car, which was originally a six cylinder car. The other was a maroon 1965 Malibu which was purchased as a running and driving car, albeit very rusty. The maroon car had a 350 V8 and a Turbo 350 transmission. Although the gold one came from Arizona, it still required some metalwork to restore. It had some rust in the quarter panels, trunk floor, and main floor. The dashboard also showed a bunch of rust and holes where the dash pad retained moisture. We removed the body from the frame and media blasted the frame. Then, we primed it with an epoxy primer and painted it with Eastwood's ceramic black chassis paint. Last Edit: 27 Dec 2014 23:40 by oestek. In the meantime, the body was placed on the rotisserie, and the bottom was media blasted and stripped of all paint.